We independently test our supplements. View our Product Analysis here. Who should you use it? Whether you are just starting your first cycle or a seasoned bulking professional preparing for competition, UPROTEIN™ Mass Gainer Pro-800MCT is the ideal choice. Quality calories are king. Back up your training with the best nutrition. For a thick shake style, mix a full serve with about 300ml of milk or water. If you prefer a smoother shake mix with 300-600ml. UPROTEIN™ Mass Gainer Pro-800MCT can be used as a post workout recovery shake, or as a between meal supplement to boost your daily calorie count. INGREDIENTS: UPROTEIN Mass Gainer Pro-800MCT Blend (Instantised Whey Protein Concentrate, Calcium Caseinate Protein, Instantised Skim Milk Protein Powder, Instantised Whey Protein Isolate, Whey Protein Hydrolysate), Maltodextrine (Wheat), Waxymaize Starch Complex Carbohydrate, Medium Chain Triglycerides, Socially And Environmentally Responsible Cocoa, Natural Flavour, Guar Gum, Acesulfame K, Sweetener (Sucralose). Contains wheat, milk, soybean products, gluten. Soybean products (Soy Lecithin) is used to instantise whey proteins and is less than 1% of the whey product. Made in Australia from local and imported ingredients. Great Value, Taste, Low Sugar, All-Round Product! I've had protein powders before and a lot of the time they give me a sore stomach or taste really fake/sugary. This one does not cause me irritability at all and tastes great! (I got the Banana one). There is no reason I would not recommend this to anyone looking for a top quality mass gainer. The French Vanilla tastes awesome (maybe even better than chocolate), and goes down great. Quick delivery and great product. For years I have been trying to pack on mass using other expensive branded protein but usually run out or the intake is just too much. Came across Uprotein Mass gainer and is one the best protein I have ever had and it sure damn shows. Starting at 68kg and packing on additional 14 kg of mass in less than 2 months. Absolutely incredible product , doesn't leave you bloated and bad gastro refluxes like other products. Would have bought the 3 for 90 deal but had to spend money on new wardrobe as I ripped through my old clothing (was a size S now a L). This has to be one of the best mass gainers Ive had, it doesn't upset my stomach like others and it mixes really well and tastes great. I had chocolate and will be trying the other flavours. Great product for busy professionals like myself. Its hard to get your calorie intake for mass gaining when you're busy at work. This product is not only one of the best tasting mass gainers I've used but most effective. Try Bannana flavour its unreal! In most instances I would not spend money on a weight gaining product due to thand fact that they almost always cause gastrointestinal disturbance and overall discomfort. I had a read through the ingredients listed and was quite impressed at the diversity of macros used to make the product, then decided to give it a go. I have a sensitive gut, but this weight gainer is great. It does not cause bloat and it doesn’t make you too full. I use a quality almond milk (>10%) to mix and there are no issues with the powder congealing or getting stuck to the shaker. I have the banana flavour at the moment, but will try other flavours each time I place an order. I rate the product overall at 4/5 stars. Simply because it’s 2018 and I feel the supplement industry needs to steer away from artificial sweeteners. With the amount of organic alternatives available, I think the money needs to be invested in natural options. THE BEST PROTEIN POWDER I HAVE EVER USED SO FAR. EASILY SOLUBLE, TASTE GOOD, GOOD FOR STOMACH, AND CHEAP. 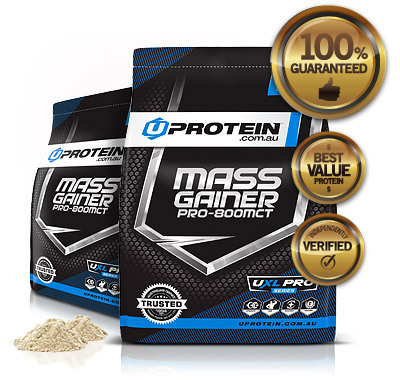 The mass gainer pro is a great tasting powder, that goes very well with water or milk. It really has a smooth banana taste and mixes with liquids very easily, meaning it is a good quality powder. It also doesn't upset my stomach at all which has happened with other mass gainers. Really good supplement as I feel full after drinking it post workout but not too full that I can still consume food. Have started to see an increase in my weight on the scales and in the mirror as well!! Very excited to see my progress with this mass gainer as squat, bench and deadlifts have all increased quite significantly! One tip could be to maybe make it slightly sweeter as it is a mass gainer and the extra calories could make even more enjoyable to drink. It tastes better with milk in my opinion but I normally just have it in water which at times is not as sweet so maybe making it sweeter could be an improvement! I spent a really long time trying to find a mass gainer without a lot of sugar in it. This is one of the only products i have found with the smallest amount of sugar and i'm extremely happy with the results. The flavour banana smash is fantastic and i'm definitely planning to buy the 6kg haul next time! Having tried this at a friends house i immediately ordered some of my own. It’s packed full of macronutrients, and I personally found it helped gain muscle mass incredibly fast. Also, it tastes phenomenal, I enjoy it thick with a banana and almonds blended together, but it’s just as good by itself! It has only taken a week to see this product working. Vanilia flavour is just awesome and easy to mix and drink. You must work out not long after having it..if you thought you could'nt be bothered you will get the surge. Cost is a pleasant surprise too. This product is one of the smoothest, tastiest out there (French vanilla) and is a pleasure to consume. It's great for post-work out and has delivered results for me. Can't believe it's as cheap as it is, best value-for-money option I could find. Really like the taste of this! My first protein shake and was expecting the worst, but really pleasantly surprised. Feel good after, no side effects. Would recommend. I’ve also tried mixing with vanilla ice cream in a blender and it is amaze. I didn't know what to expect when ordering online but WOW, the protein powder is so good! I got french vanilla and it honestly tastes as if i'm drinking a vanilla milkshake! YUM! Great flavor. doesn't feels full after having it. Considering my local store charges me MORE ($30 extra for the same weight) for a similar product, which actually gives me less protein and carbs per serve, this powder is fantastic. Having only used this product for one week whilst working with high metabolism, I increased my weight by 2.3kg and BMI by 2.5%. Chose the vanilla flavour which isn't as tasty as my local supplier's product, but still nice enough to drink. It is digested very well, with adequate exercise, it shows results in a week. The product (french vanilla) mixes well in water without producing a tangy taste unlike other brands tried before! I have bought two bags of the mass gainer in the hopes that it would finally aid me in getting healthy ( I’m super underweight). With the help of the product partnered with a correct training routine I was able to put on 4kg in a week. 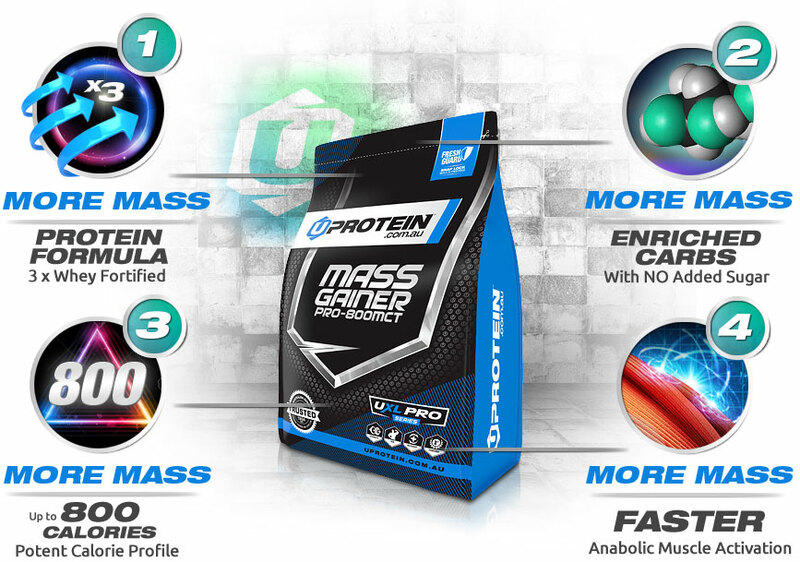 This is definitely one of the best mass gainers on the market and for the price you really can’t go wrong. 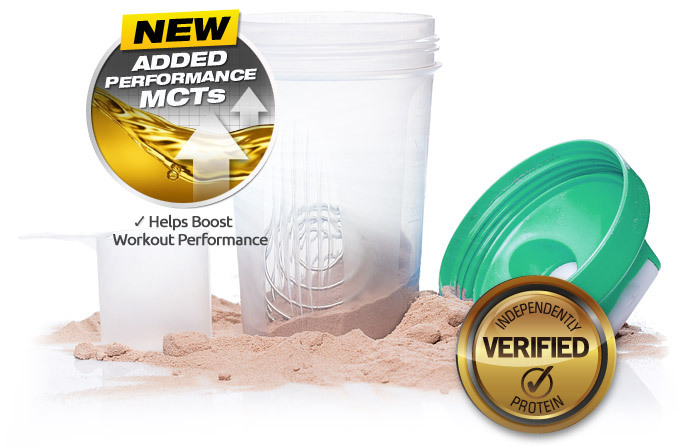 Finally, a mass gainer product which doesn't taste like plastic and has the consistency of sand! This product is smooth and tastes great (french vanilla) and doesn't leave you bloated or feeling sick afterwards. I've only just started taking this product so too early to tell about its effectiveness. If things go well, I'm going to try chocolate next! I have tried other mass gainer products in the past and this is by far the best. I will definitely continue with this mass gainer product whenever I need one. 1) Some protein powder products have kinda artificial chocolate flavour taste, but this Mega Chocolate taste is just great! It also tastes great when mixing it with milk. 2) The powder is easily mixed in the shaker bottle even with small amount of water. It doesn't form into clump at all, unlike other mass gainer products I've taken before. 3) I have history of acid reflux, but this product does not cause any discomfort thus far. 4) If you have fast metabolism like me and sometimes it's not convenient to get foods to maintain your calories intake, this is a good choice. 5) Order was processed on the same day (since I ordered before 2pm). Delivery was fast and order was nicely packed in a box. 6) The only unfortunate thing is it contains gluten ingredients. It would be great if this product is gluten-free. Mother of God I've found the hidden treasure! After searching for ages through different mass gainer/wpc/wpi proteins for something to fit my dietary needs, I came across this product. - IT TASTES AMAZING EVEN WITH JUST WATER LIKE FREAKING AMAZING. - it fits with my medication. Taking MAOI's (a dietarily restrictive antidepressant) this product offers one of the lowest amounts of tryptophan possible in comparison to similar products, the lowest by a long shot! Which is good because taking these medications or anything that increases the amount of serotonin in the system can have detrimental effects when combined with higher dosages of tryptophan. - Fantastic customer service, astonishingly so. - Fast delivery with the option of safe drop which a lot of people will appreciate. - The quality of the product is outstanding, as I mentioned above I have had no problems with this product at all and I am going to be a regular customer for a long time. - The powder doesn't clump. This may seem small, but have you ever had a protein shake with mass gainers especially having more powder to liquid ratio and had clumpy dry powdery bits come out? It will never happen with this product, I'm absolutely amazed by the quality and absorbancy of this powder. - It is seriously just the best I have ever had and being a gym junkie for years, I've had my fair share of different products. - It can't marry me. This product is great, even if you have strict dietary requirements that mean life or death or intensive pain, especially those with lactose intolerance this product is great and I hands down recommend it to everyone. It's the best protein powder I have come across, the chocolate and banana varients are great and I am very keen to try out some of the other wide range of flavours. If you ever need help with the products the team is always responsive and helpful and a wonderful experience to communicate with. In my books this is the first product in the history of me reviewing products to get a 10/10 in my eyes and I highly recommend it to everyone. Was a big fan of some other Muscle Mass providers but decided to try UPROTEIN. 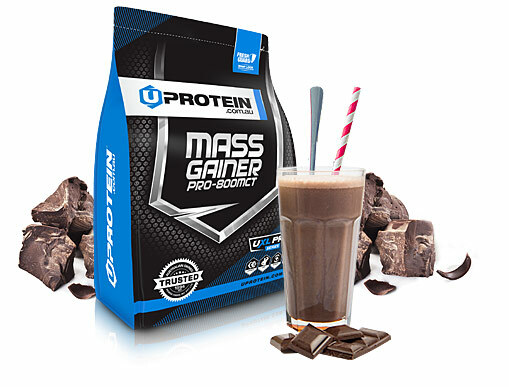 Mass Gainer Pro is sensational; taste, consistancy, value and carb/protein/fat ratios!!! Highly recommend and it now my mass gainer of choice. I found the mass gainer easy to mix in a shaker, delicious and didn't give me that bloated feeling. After using the Mass gainer for over a month now I can already see the difference in my muscle size. Good quality highly recommend. I work on a station in the Australian Outback and was peeling off the weight, two months ago I started on the product and my energy levels are better than normal and I am gaining lean muscle mass after 6 weeks! The (Chocolate) is the best flavour out of any product I have tried over the years and the delivery, even out here is better than our normal mail! Not to mention the savings on store bought product. 10/10 hands down..
***AMAZING SERVICE*** Ordered some products yesterday afternoon and turned up at my work by lunchtime today. not to mention their customer support is fantastic. i wanted to ask a few questions regarding some of the product and within an hour had an reply. i also have been looking around for a good quality mass gainer and their pro 800mct keeps popping up...i hear it's ROCKET FUEL!!. well will start tonight and get back to you in a few weeks with an update..CARPE DIEM!!! the gym is a jungle, and like the pathetic pigoen you are, you have been kicked out of the nest and forced to pave your own path to glory. 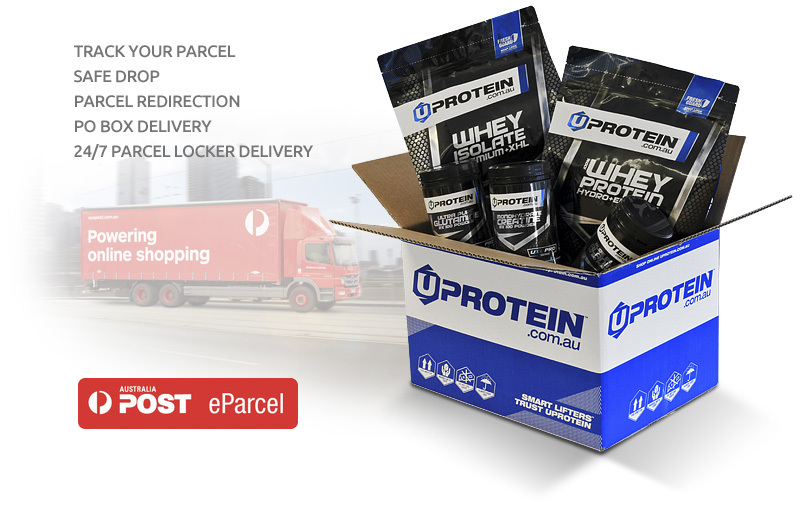 You may have been made to fend for yourself but mum, who is actually Zeus' long lost sister (Meus), hasn't completely abandoned you; her milk you need being the scrawny, feeble, malnourished and desperate ugly little bird you are can now be purchased at uprotein.com.au. The 800MCT mega choc will give you THE MEGA GAINS YOU NEED TO BECOME A F*CKING ALBATROSS. THIS IS YOUR JUNGLE NOW. BE THE KING. LIFT BIG, LIVE BIG, DIE BIG, LEAVE A MASSIVE COFFIN. I have had this for 5 days now and am just starting to get results. I ordered this in French Vanilla and had it with banana and it tastes great, even with water! Really good stuff this, it tastes great. Really easy to mix with, (French vanilla). 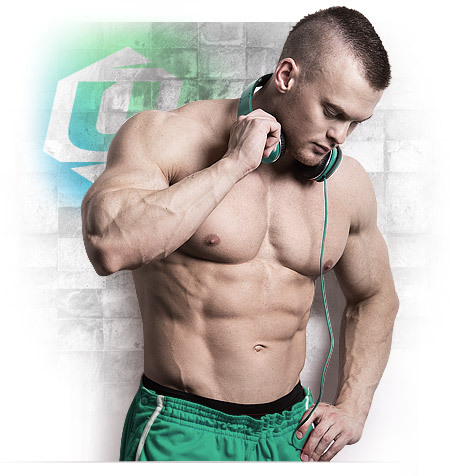 Backed by body builders and science alike this product is a game changer!! PRO-800MCT is the popular choice if you want massive size gains fast !!! Including Concentrate, Isolates and Hydrolysed whey proteins to provide a superior spectrum of muscle building Amino Acids than using a single source cheaper grade mass gainer. Quality carbohydrate sources provide substantial nutritional and caloric boost, producing core energy and supporting muscle building protein characteristics in ideal 40:60 ratio..
Five proteins scientifically selected to deliver a rapid, medium and slow muscle growth nutrient environment for optimal mass gain potential. Three high quality Whey protein sources means a full spectrum of muscle sparing amino acids for optimum mass gain. Quality carbohydrate sources for fast/slow nutrient delivery plus premium muscle growth proteins. Superior ingredient purification delivers up to 800 size potent calories each serve* with an advanced macronutrient profile. Hydrolysed and isolate proteins rapidly stimulate nitrogen environment for natural anabolic production. We don't use outdated refinement and production methods. Sure, these methods are cheaper but often they result in less protein nutrients per serve, along with inferior taste and biological benefits. If your muscles could talk, they'd say no to cheap WPC too. The Medium Chain Triglycerides (reduced carbon length) along with carbohydrate energy sources to help boost workout performance. that's why we look locally and globally for suppliers who have the scale and techology we demand. Our cows are grass fed 'happy' cows that pasture in AUS, USA, and NZ farms. Convenient 2kg bags means you can split flavours and taste the range when you buy in bulk. 2. adopted a "direct from the manufacturer" model, thereby cutting out the middlemen and passing the savings on to you. At around $2.40 per 120g serve, $1.20 per 60g serve, this best-in-class formula will be cheapest feed your muscles get each day. 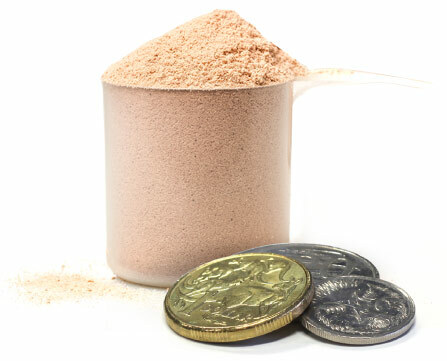 Our popular protein powders are made fresh regularly with approximately 2 years shelf life. Buy in bulk and save! We want you to love this protein. If for ANY reason you are not 100% satisfied, we will happily refund the purchase price.